The following are the top SnapShotz FAQ. I don't think kids will pay attention. Why play SnapShotz? They take photos all of the time anyway. Those that love to take "selfie's" and tons of photos will love the new playing field that the game board provides. Everyone gets to try out a new camera phone or tablet and see how it works with the game. It also has been designed to help draw together more of the family or friends that normally get left out of the photos. SnapShotz is perfect for the "photo allergic" and camera shy. My kids do not want to take pictures with me anymore. Board games have bridged the age gap forever by providing reasons to engage and have fun together. This one let's kids be kids, act goofy, dress up, be silly, and when they least expect it, take some serious photos too! I never know what type of photos to take! 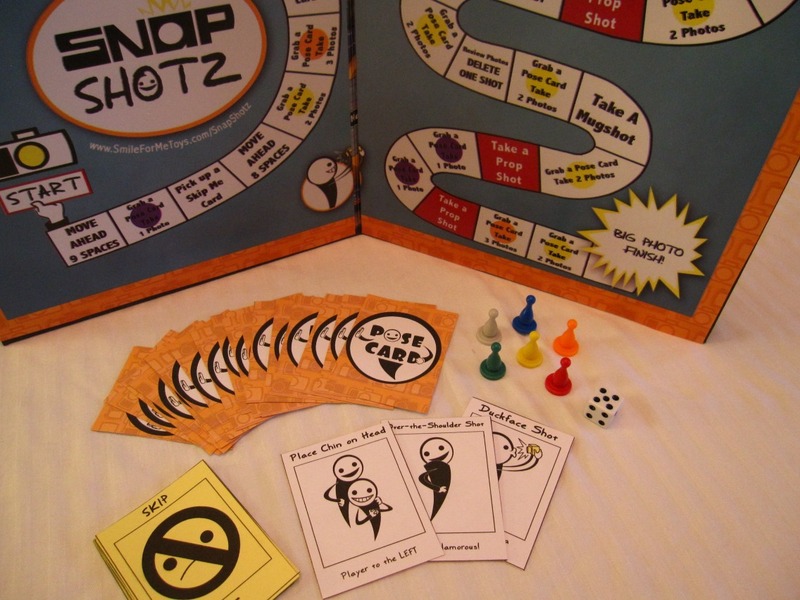 The game "calls the shots" and the kids will grab the photography props and add their own creativity to them. My relatives or friends do not like taking photos. "Skip Me" cards are one component of the game that may be played that helps to warm the atmosphere up. The game provides the perfect excuse to mix it up and to try out a camera phone and take some shots they really are glad they did when it's over. I do not like reading directions. Almost NO starting instructions. Place out the game board, fire up the camera, put the "posecards" and "skip me " cards on the table, add the PHOTOGRAPHY PROPS and away you go! Take turns rolling the die and just read the directions on the spaces you land on. How long does the game last? Depending on the amount of players (3-6 or up to 4 team pairs), up to 30 minutes. Player are hooked in 5 minutes and most people get so comfortable and involved that everyone will want to play again! Shift the seating arrangement, bring out more PHOTOGRAPHY PROPS and you have unlimited Replay value. Where is the best place to play SnapShotz? Reunions, birthday parties and game nights are great places to take SnapShotz. Outdoors or indoors, on picnic tables or on patio tables when you are on vacation. I am not good at taking photos. SnapShotz is the perfect venue to practice taking photos and see what angles you DO take best. It is all just part of the fun and games, literally. Why is the game better than a Photo Booth? It has a board game's time proven ability to captivate and involve players around any table. No backgrounds to set up or to take down. 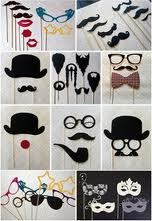 Party stores, costume shops and online photo prop sites provide unlimited outlets for your creativity for the game. Take your hunt to Thrift Stores, attic trunks and Grandma's closets!